Release 30 for Shroud of the Avatar updated targetting again... have you updated yet? Self-help video made by Violation to demonstrate the new targeting system in SotA R29. We've updated the website. Let Violation know what you think and what you want to see added! Desron Gaming was created out of the need to provide a mature gaming platform to stay connected between transitional gaming periods. As people age and go through different phases in life it's difficult to stay up with your gaming friends throughout the world. 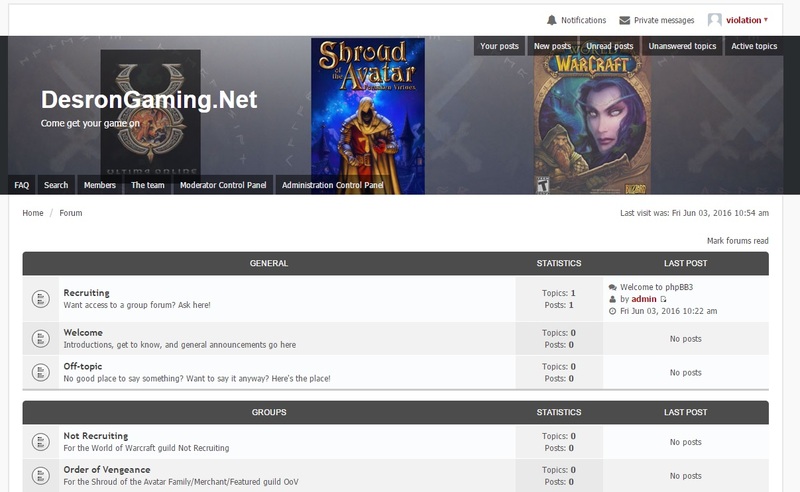 Desron.Net Gaming prides itself in maintaining an open forum to it's memebers, a voice server for it's members, and select longstanding members get email accounts. Occasiionally, we host our own gaming servers as well. © Tates PC Repair LLC. All rights reserved.